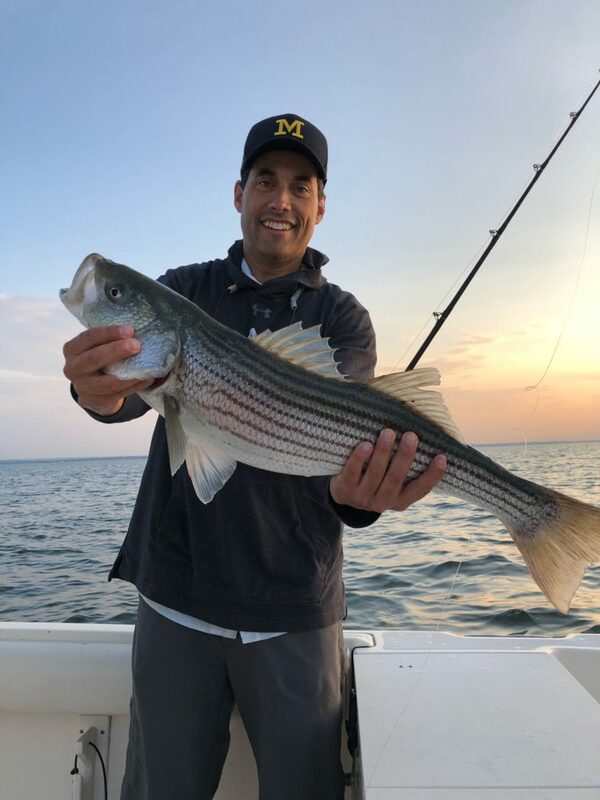 Free Fishing Reports > Northeast > New York > North Shore > Instructional Charter for Peter a Success !!! Today’s Charter with Peter was educational and fun !!! 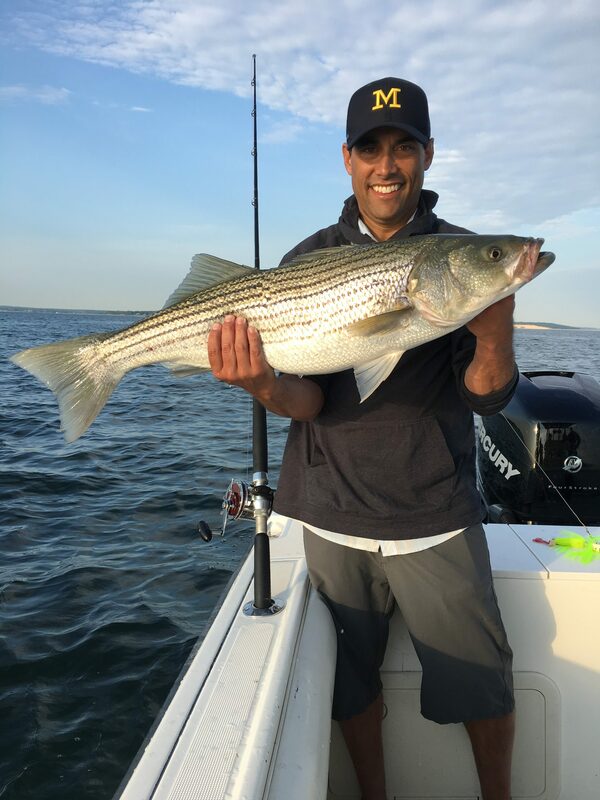 Peter wanted to sharpen his skills in targeting Striped Bass, Capt. Skip put him on fish right away by trolling wire line, then jigging with light tackle. Many fish were caught and released and 2 were kept for a few great dinners. Pete was a quick learner and was a new sharpie in no time..
Good job and fun morning !! !